Choong Sung Taekwondo is a WTF Olympic-style school. However, unlike many schools who focus only on sparring, we are concerned with Taekwondo as an art. Therefore, we focus on a holistic learning: sparring, self-defense, mind/spirt, and forms. Of course, if your goal is to become a World Champion we are here to help you achieve this, but if your goal is health and well-being we are here for you as well.Choong Sung Taekwondo offers a fun, safe and challenging program to fit your individual needs. Taekwondo is ideal for men, women and children of all ages. Each person conditions at their own pace, which allows for adults to continue their training well into their eighties and beyond. We also have experience working with individuals with a variety of disabilities, and it is possible to advance through hard work and perseverance.Although people generally select a martial arts school for reasons other than the martial arts style taught at the school (e.g., reputation, location, character-development emphasis, family focus) it’s still good to have a general understanding of the styles of Tmartial arts before beginning a search for the best school for you. Our style of martial arts training is called Taekwondo.To learn about Taekwondo in comparison to the other martial arts styles, you should read our free report, which provides an overview of all the main styles of martial arts. We obviously believe that Taekwondo is the best of the martial arts relative to the physical aspects. But what makes Choong Sung Taekwondo special is that our training goes far beyond the kick, the punch and the throw. We also place a strong emphasis on the personal development of our students. While we are experts in teaching Taekwondo techniques, a large focus of our training is on developing the following personal attributes in our students: self confidence, focus, discipline, fitness, healthy weight and self-esteem. The development of these personal attributes is inherent within all martial arts but, at Choong Sung Taekwondo, we put a special emphasis on maximizing our student’s potential in all aspects of their life. 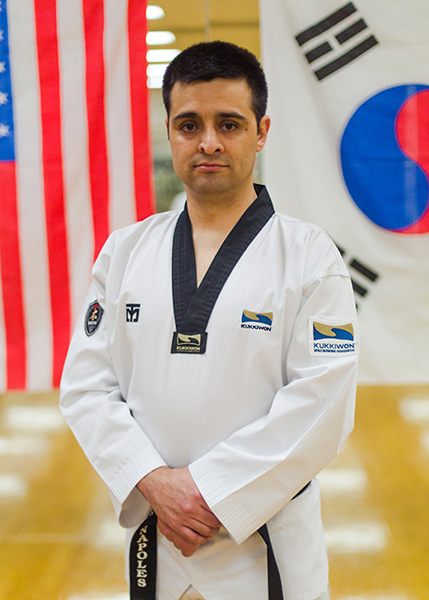 Choong Sung Taekwondo is an official school member of WTMU, Kukkiwon America. We are the only school in Southern Indiana and the Louisville region with fully certified Master Instructors and certified Black Belt Instructors. As a result, our students are Black Belt recognized internationally. Are you confused by the multiple styles of martial arts?